In part 8 I create and execute a test case and also record a bug using Test and Lab Manager, which is part of the Visual Studio 2010 suite of products. You can see how to include a screenshot, a video and more relevant information from the test result into the bug, which will in turn be very useful information for the developer. Next video will be about fixing this bug. See you then! In part 7 I create the user interface for the Book Store application. 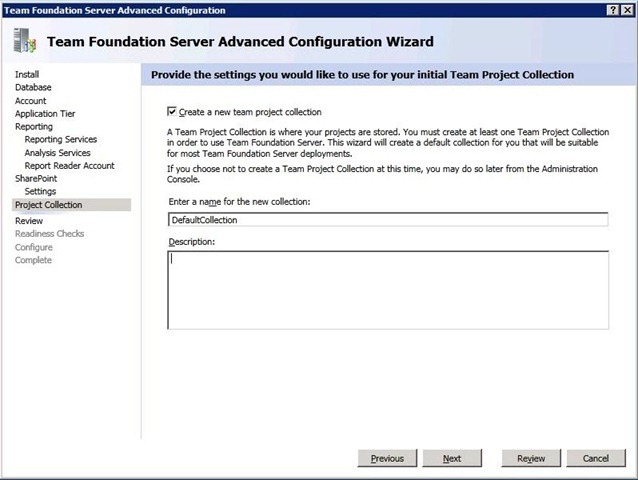 I show how to create a Windows Presentation Foundation (WPF) application that can take advantage of the Visual Studio Data Sources window and Data Binding. Finally I check in the new project associating it with the developer task. I intentionally introduced a bug while creating this user interface. Can you find it? Well, if you can’t, we’ll work on it as we switch to the tester’s role in the next video! In part 6 I continue doing some Test Driven to actually make our unit test go to the green state. 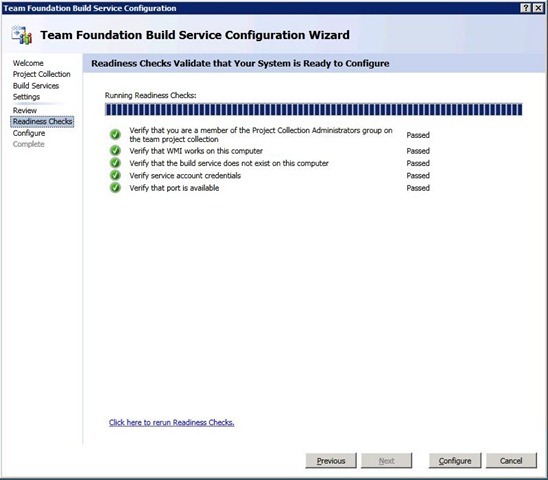 I also show some quick ADO.NET Entity Framework use and finally how to check-in your code to Team Foundation Server while associating that check-in with the developer task. In part 5 I show how to start coding using some Test Driven Development. Ran a little bit out of time, so this part covers from the Visual Studio solution creation to running the unit test getting a fail result. Next part covers making the test pass. In part 4 I show how to plan your iteration, also known as sprint. You can see how to specify the iteration duration, assign tasks to team members and check your iteration capacity to make sure the team will not commit to more tasks than they can actually complete. In this third part I show how to add users to Team Projects. 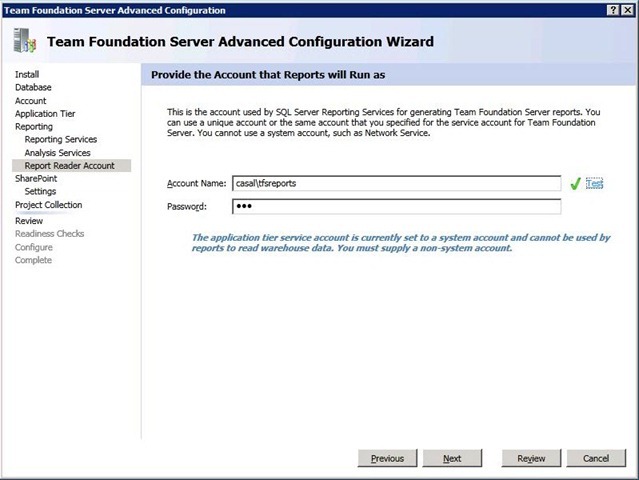 This requires granting access to domain users in Team Foundation Server, SharePoint and Reporting Services. An easy task but usually causes a little confusion when working with TFS for first time. In next part I will show how to appropriately plan your first sprint and you’ll see some cool stuff in the new Iteration Backlog Excel workbooks that come with TFS 2010. Don’t miss it! In this second part I show how to specify the application’s requirements using User Stories, which is a common approach while working with the Scrum software development process. In next part we will create the actual Visual Studio solution and start creating some unit tests. Stay tuned! This is the first part of a series of videos where I would like to show how to take advantage of the Visual Studio 2010 suite while working on common tasks that most software development teams face everyday. This first part is about the initial creation of the Team Project and a quick overview of what you get once the project is created, like the Team Explorer, the Project Portal, Web Access and related stuff. 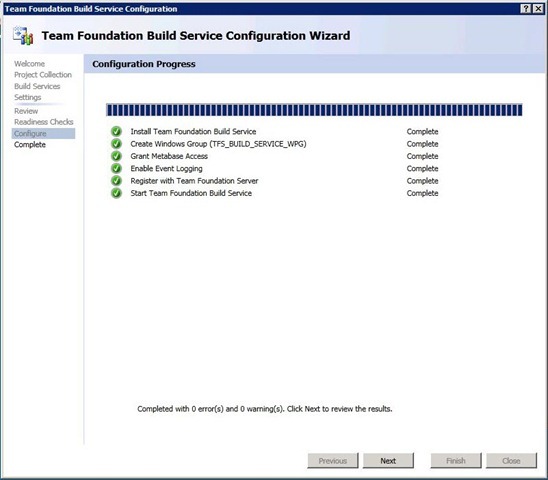 So, let’s say your boss only gave you one server for all your Team Foundation Server (TFS) components. Well, that should be enough if you have a small team (fewer than 50 users) and your server is kind of powerful. 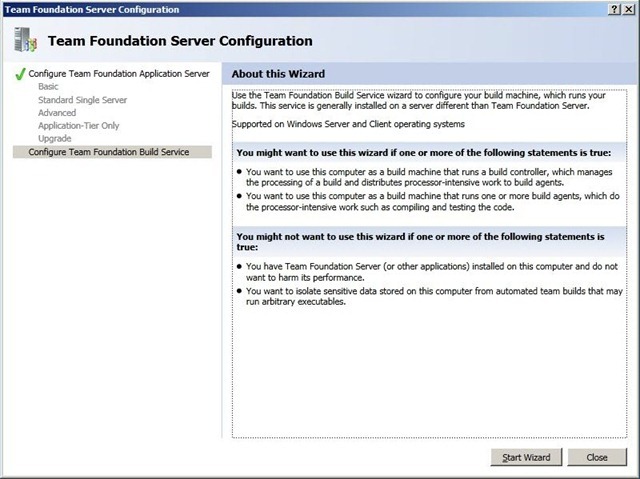 In this post I would like to show you how to perform a single server installation of TFS 2010 Beta 2. Keep in mind that I am setting up an example, not for production environment here, so don’t pay too much attention to my choices regarding user accounts and passwords. 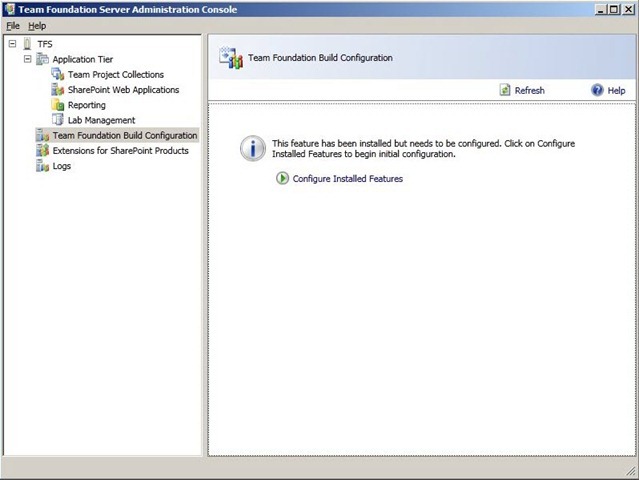 You can download the Team Foundation Server (TFS) 2010 Beta 2 ISO from here. 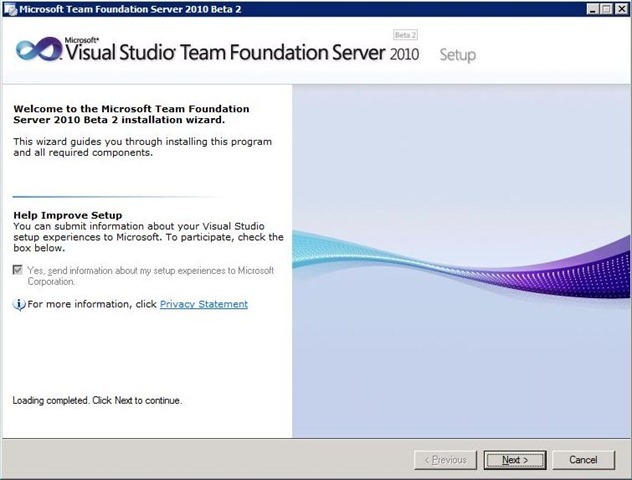 Also, get the TFS 2010 Installation Guide from here, you will need it for installing and configuring the prerequisites. TFSREPORTS. A domain account with the Allow log on locally permission. A Domain Group for dashboards and reports. All the people that would like to use TFS Dashboards and Reports must be in this domain group. One or more accounts for MOSS 2007 configuration. 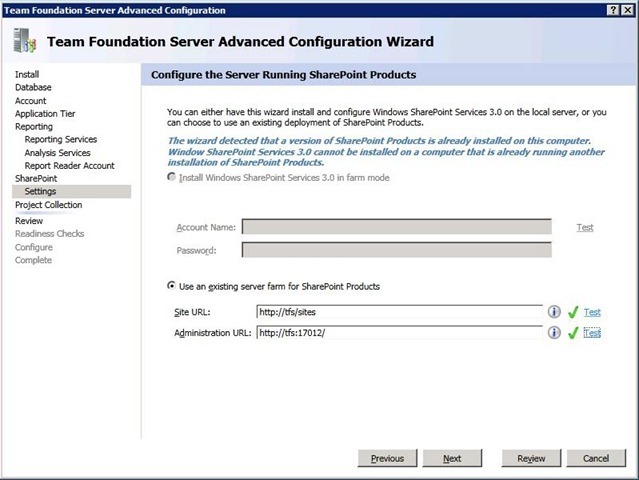 Specifying the recommended accounts for SharePoint here is out of the scope of this post, so I will just use the domain administrator in all SharePoint related configurations. 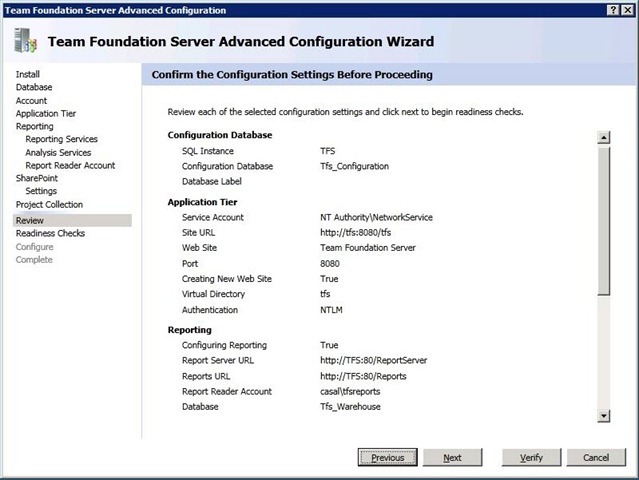 This post will not be about installing or configuring Windows Server, IIS or SQL Server (steps varies depending on the specific versions that you use) but you can find detailed instructions on that in the TFS 2010 Installation Guide. 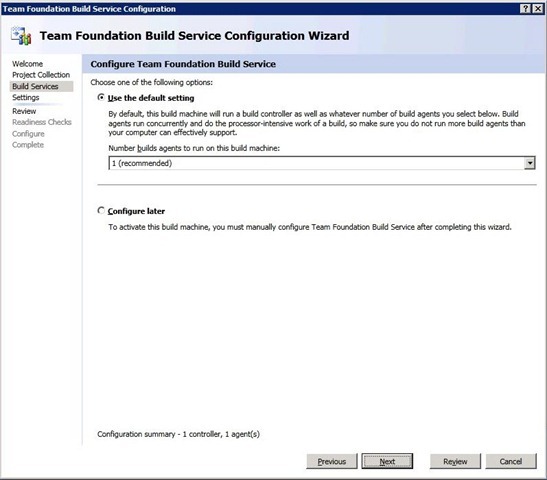 Look in the Scenario: Installing Team Foundation Server on a Single-Server –> Checklist: Single-Server Installation section. 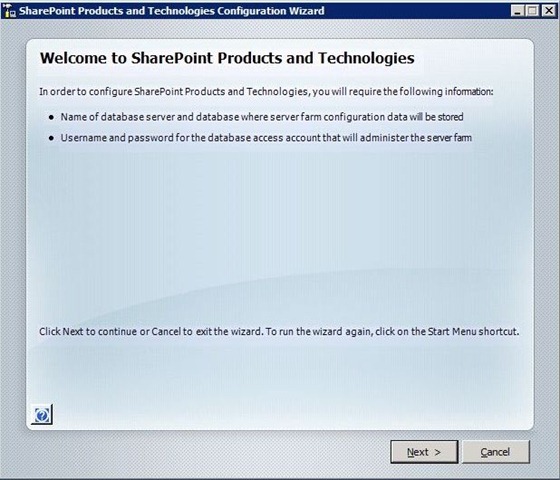 Microsoft Office SharePoint Server (MOSS) 2007 configuration, on the other hand, can be a very easy or a very challenging task depending on how much you know on SharePoint. So that’s where this post will continue. Using Microsoft Office SharePoint Server (MOSS) 2007 over Windows SharePoint Services (WSS) 3.0 gives you additional dashboards that you will find very useful when trying to figure out how well is your team doing on the project. 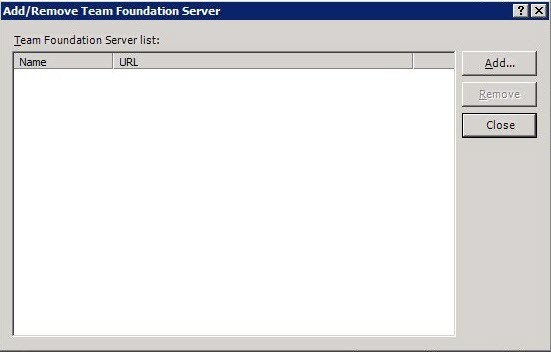 To install MOSS 2007 just start the installation, choose Complete for Server Type and then click Install Now. 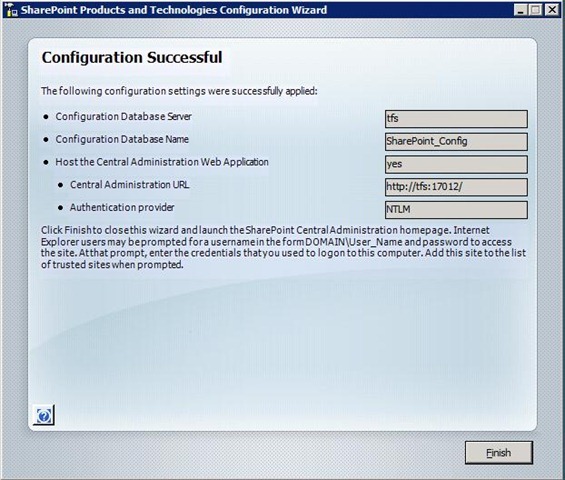 After installation finishes, make sure the Run the SharePoint Products and Technologies Configuration Wizard now checkbox is checked and click Close. 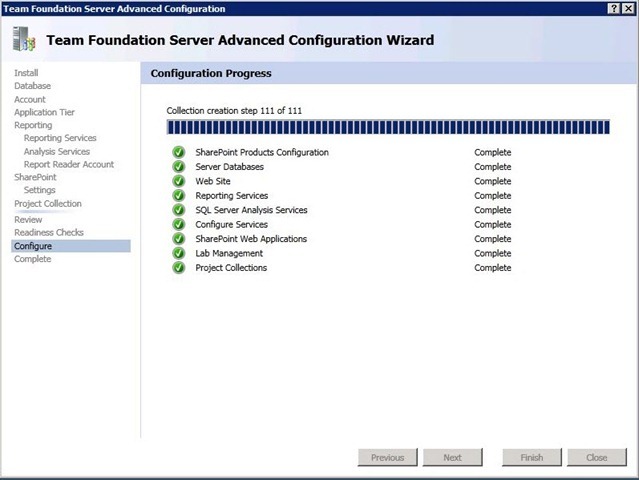 The configuration wizard will start now. 1. On the welcome screen, click Next. If a warning appears, click Yes. 2. 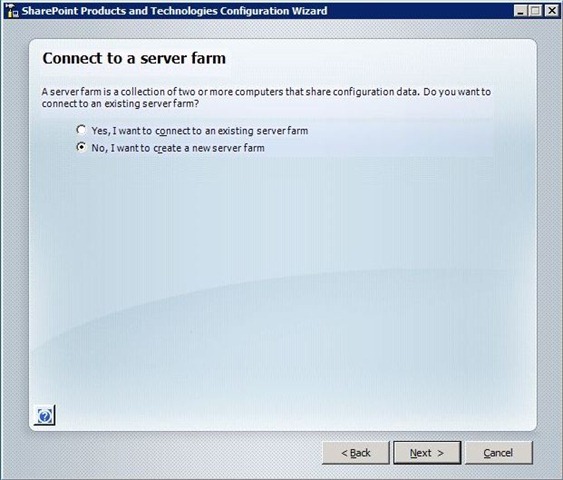 On the Connect to a server farm screen, select No, I want to create a new server farm and click Next. 3. 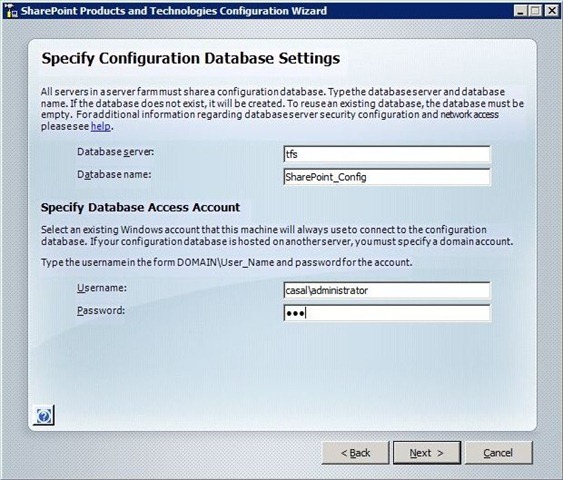 On the Configuration Database Settings screen, enter the name of your database server, as well as the credentials (username/password) that SharePoint will use to connect to that database. Leave the default database name and click Next. 4. 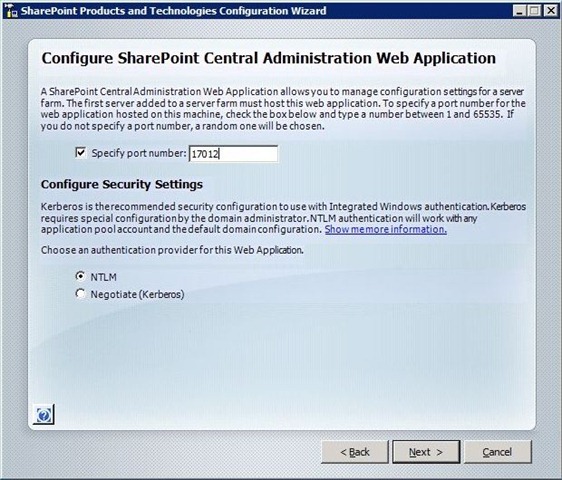 On the Configure SharePoint Central Administration Web Application screen, enter 17012 for port number (you can use another port, but 17012 is like a standard for TFS SharePoint sites) and choose NTLM for authentication provider. Then click Next. 5. On the summary screen click Next. 6. Wait until configuration finishes and click Finish. At this point a browser window will open with your new Central Administration Site. Close the browser and proceed to apply the latest SharePoint service packs to your installation. 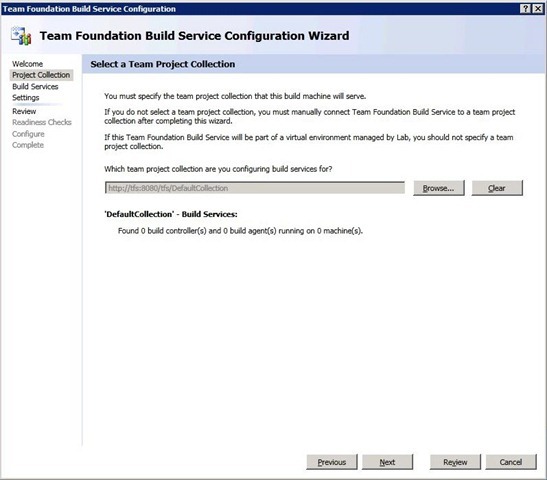 After applying the service packs, proceed to the creation of your the Web Application and Site Collection for TFS. 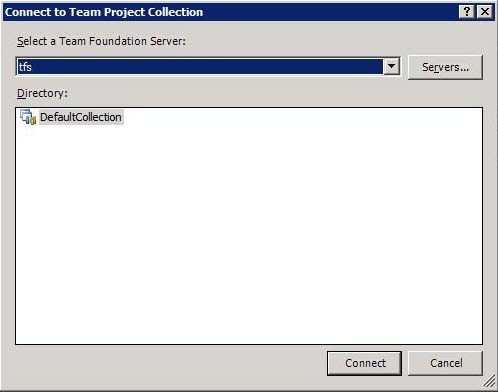 TFS 2010 requires a web application and a site collection. The following procedure will create a new Web application on port 80, so if you already have a Web application on port 80 you should stop it now in IIS and prevent it from starting automatically when Windows starts. 1. Open the SharePoint Central Administration site by going to Start Menu –> Microsoft Office Server –> SharePoint 3.0 Central Administration on your server. 2. 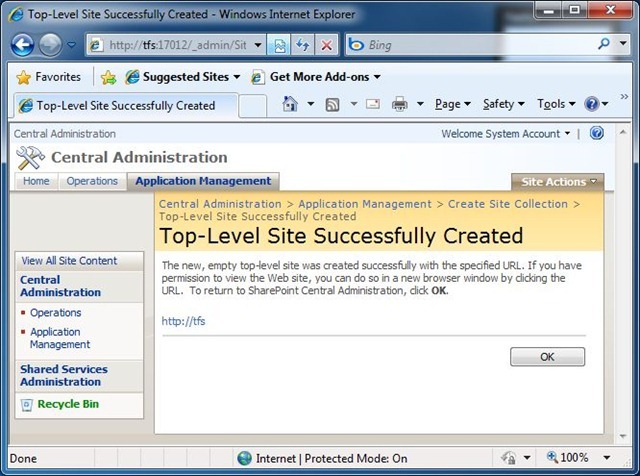 Go to the Application Management tab and click on Create or extend Web application on the SharePoint Web Application Management section. 3. Click on Create a new Web application. You can leave the rest of the settings with the default values and click OK.
5. 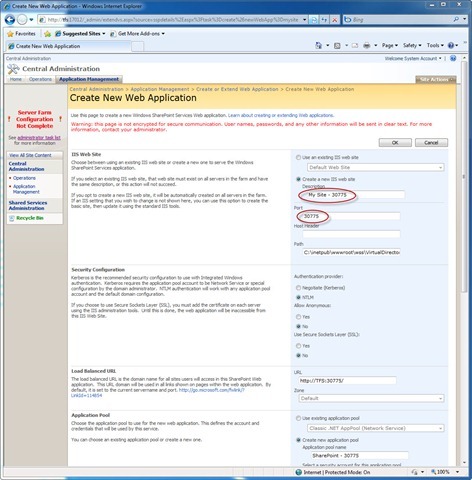 On the Application Created page click Create Site Collection. Leave the defaults for the rest and click OK.
7. Click OK in the last page, your new site is ready. 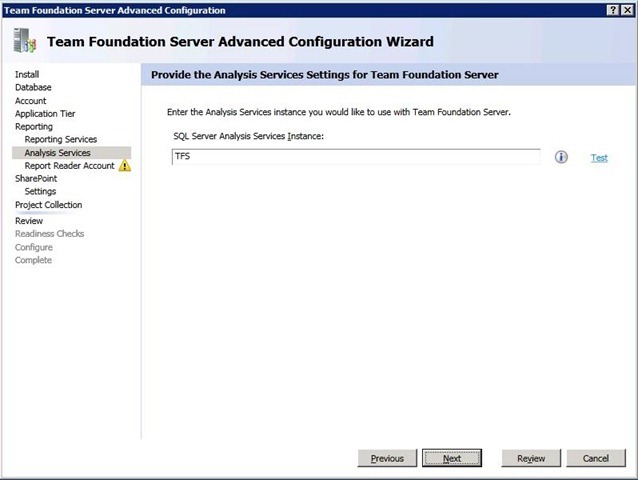 TFS 2010 requires some services from SharePoint for dashboards to work correctly. 1. 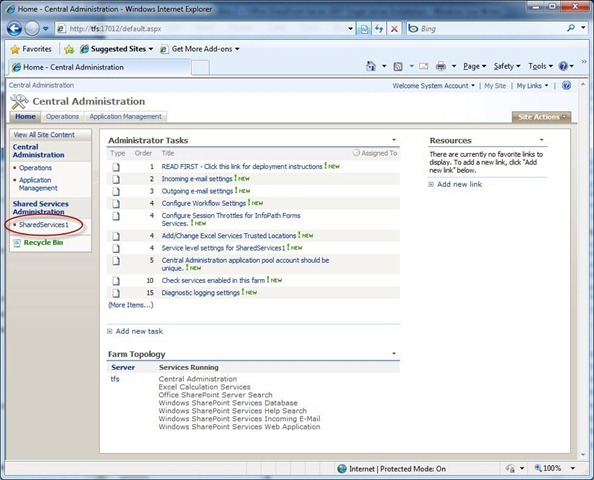 Go to the Operations tab of the Central Administration site and click on Services on server under Topology and Services. 2. Select Single Server or Web Server for small server farms. You will need to start Excel Calculation Services, Office SharePoint Server Search and Windows SharePoint Services Search in the services table if any of them is in the Stopped state. Click on Start next to Excel Calculation Services. 3. Excel Calculation Services status should be Started now. Click on Start next to Office SharePoint Server Search. 4. 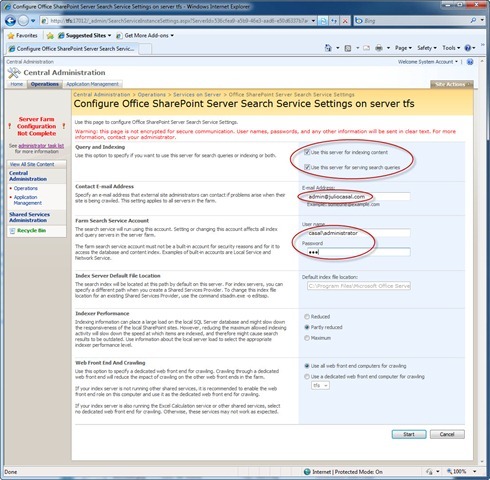 On the Office SharePoint Server Search Service Settings page check Use this server for indexing content and Use this server for serving search queries. Enter an email address and the farm search service account credentials. Leave the defaults for the rest and click Start. 5. 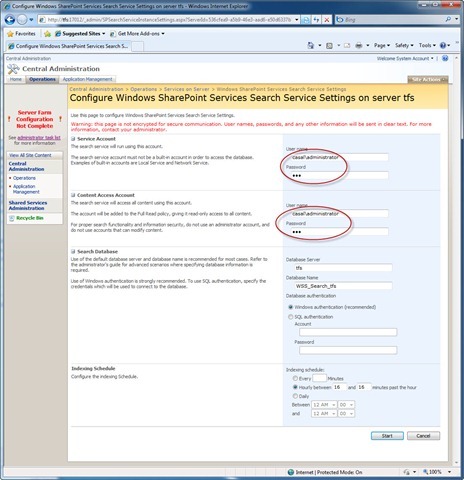 Back in the Services on Server page, click on Start next to Windows SharePoint Services Search. 6. 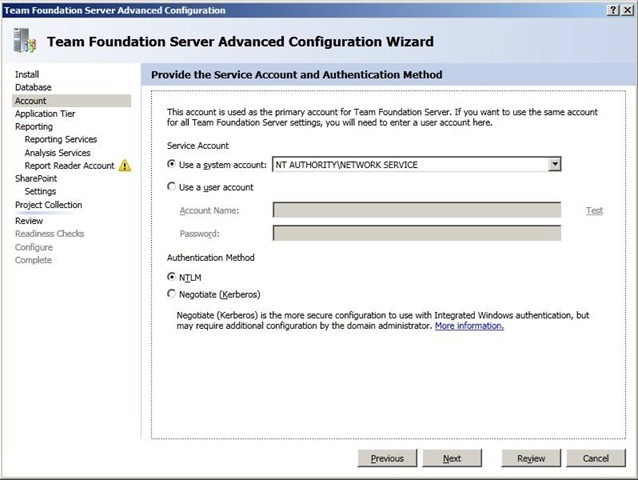 Enter the credentials for a Service Account and a Content Access Account. Leave the defaults for the rest and click Start. 7. All the required services should be now in the Started state as shown below. 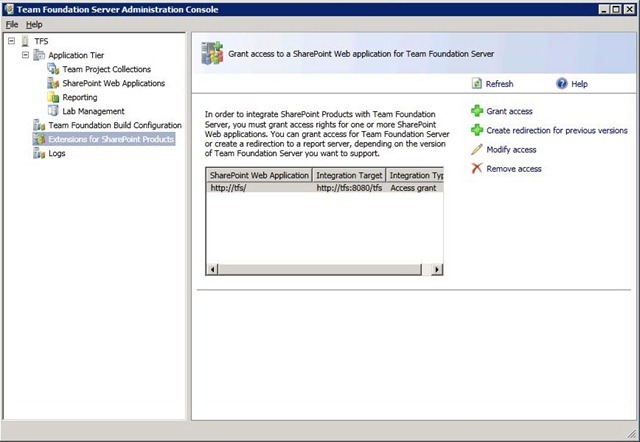 TFS 2010 requires a SharePoint shared services provider and Web applications to support that provider. 1. 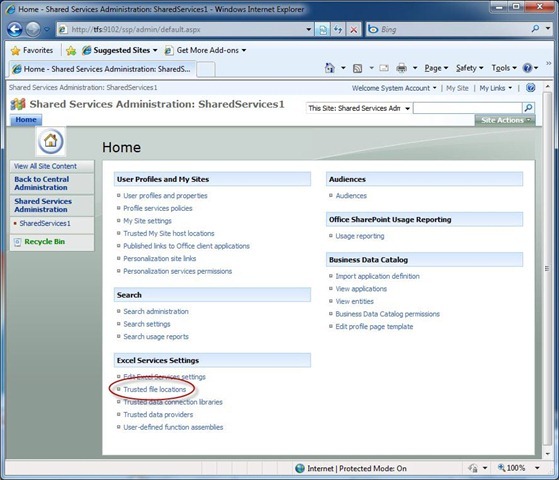 From the SharePoint Central Administration home page, click Shared Services Administration on the left side. 2. In the Manage this Farm’s Shared Services page, click New SSP. 3. 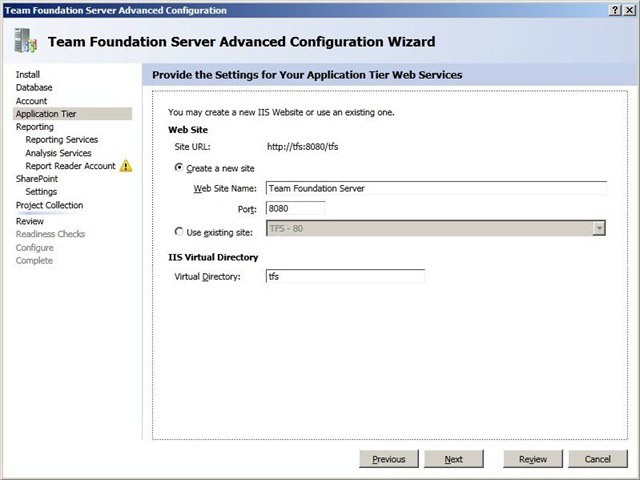 In the New Shared Services Provider page, in the SSP Name section, leave the default value for the SSP Name and click on Create a new Web application. 5. Back in the New Shared Services Provider page, in the My Site Location section, click on Create a new Web application. 6. Follow the same instructions for creating this new Web application as in step 4, just changing the Description (My Site would be a good name for Description) and Port number this time. Then click OK.
7. 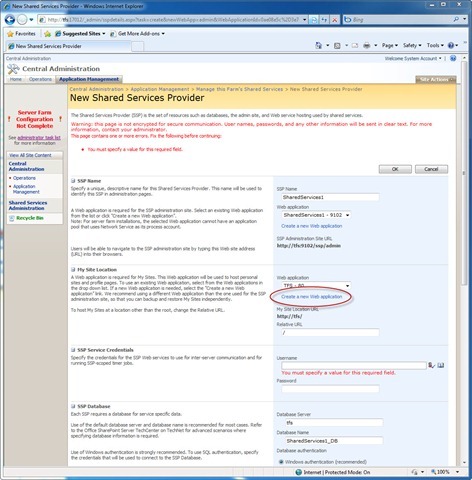 Back in the New Shared Services Provider page, in the SSP Service Credentials section, specify the credentials for the shared services provider. Leave the rest with default values and click OK.
8. Your new Shared Services Provider is ready. Click OK to return to the Shared Services page. 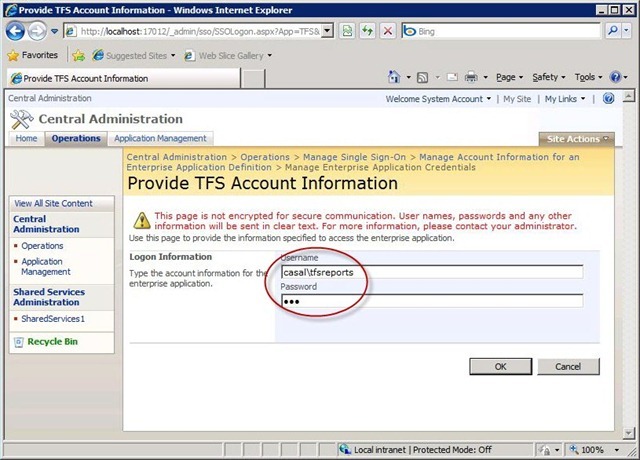 You will need to enable the Single Sign-On feature of MOSS 2007 for a proper interaction with TFS 2010. You will need to perform this procedure logging on to your server. 1. 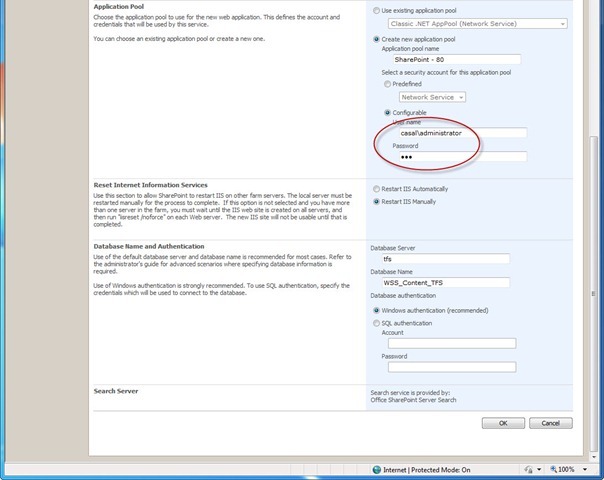 In the Operations tab of the SharePoint Central Administration site click Service accounts under Security Configuration. 2. 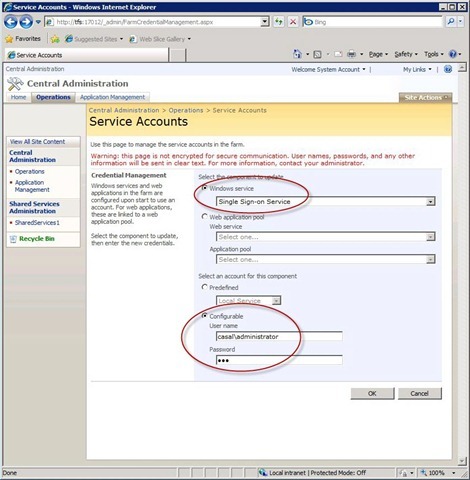 On the Service Accounts page select Single Sign-on Service under Windows service and enter credentials for a Configurable account. 3. 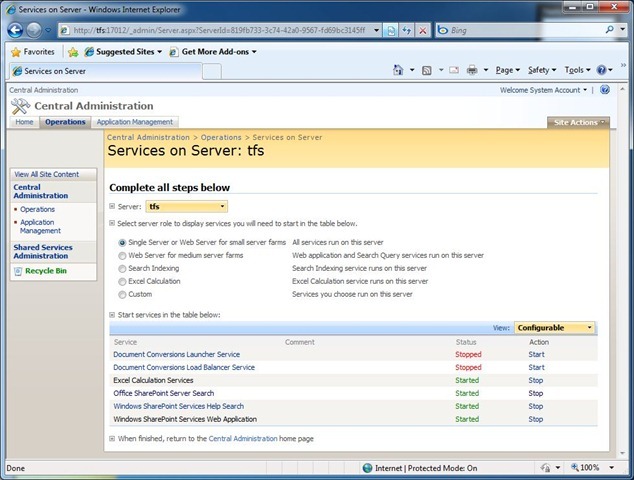 Go to Windows Services administration by going to Start Menu –> Administrative Tools –> Services. 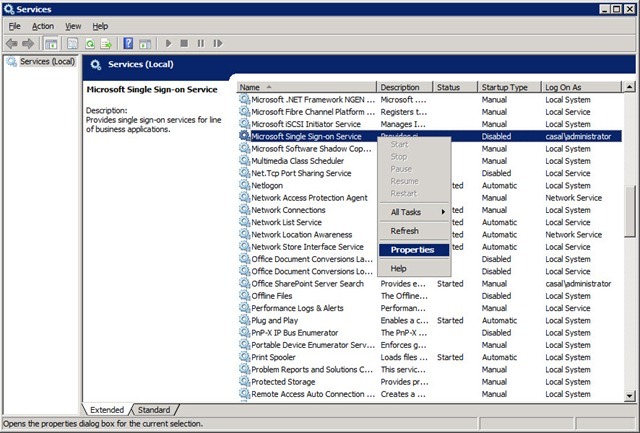 Find the Microsoft Single Sign-on Service, right click and click Properties. 4. On the Properties page, select Automatic in Startup type and then click Start. 5. 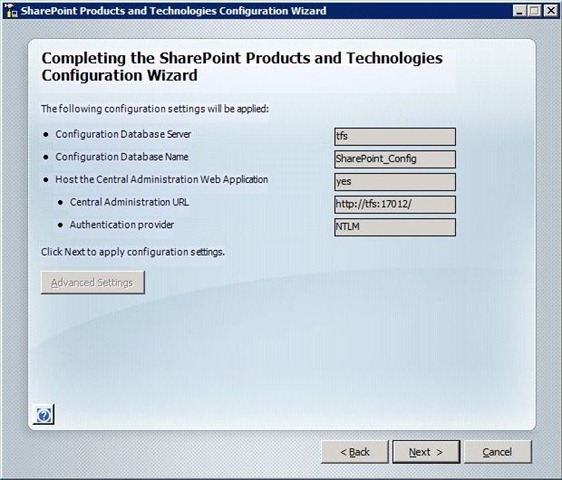 Back in the Operations tab of the SharePoint Central Administration site click on Manage settings for single sign-on under Security Configuration. 6. On the Manage Single Sign-On page, click Manage server settings. 7. 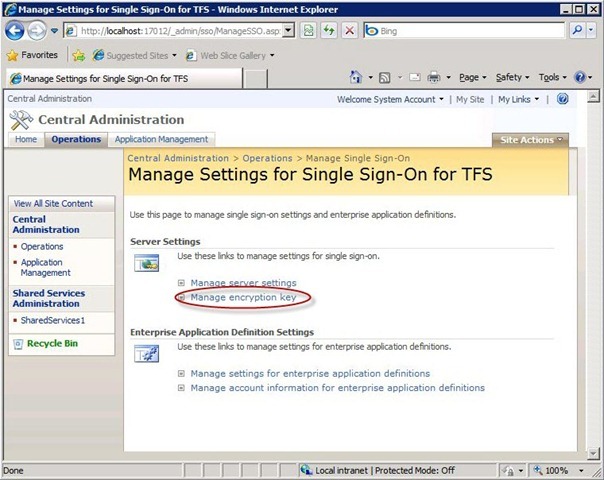 On the Manage Server Settings for Single Sign-On page, specify credentials for the Single Sign-On Administrator Account and for the Enterprise Application Definition Administrator Account. Leave defaults for the rest and then click OK.
8. Back in the Manage Single Sign-On page, click on Manage encryption key. 9. 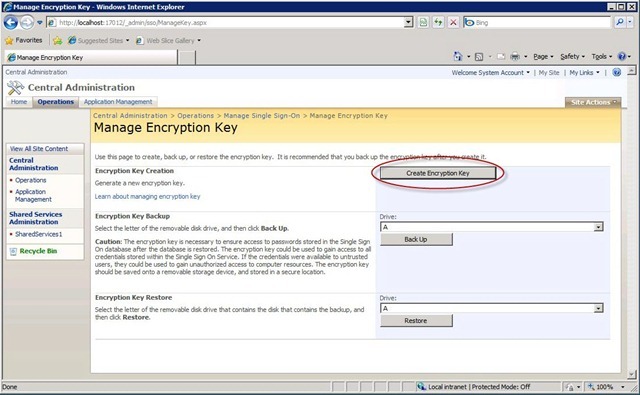 On the Manage Encryption Key page, click Create Encryption Key. 10. On the Create Encryption Key page, click OK.
11. Back in the Manage Single Sign-On page, click on Manage settings for enterprise application definitions. 12. 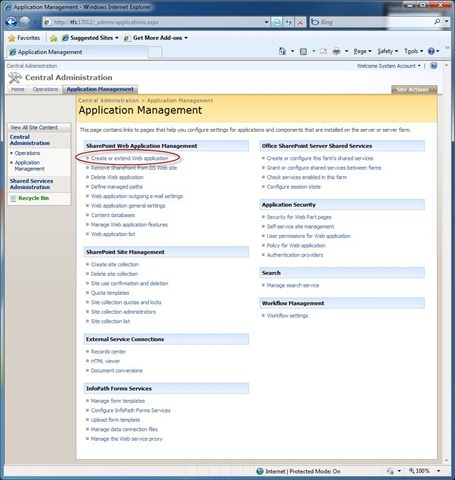 On the Manage Enterprise Application Definitions page, click New Item. 13. 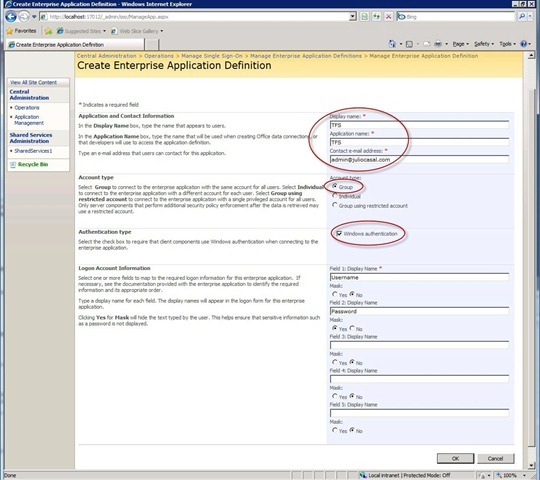 On the Create Enterprise Application Definition page, enter TFS for Display name and Application name, enter an email address, select the Group account type and check Windows authentication. Leave defaults for the rest and click OK.
14. 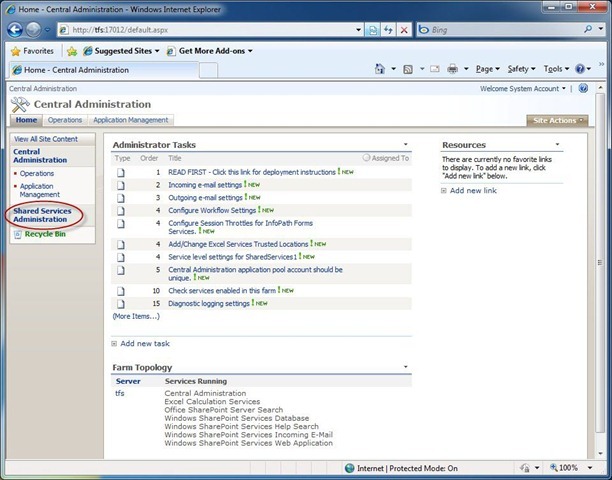 Back in the Manage Single Sign-On page, click Manage account information for enterprise application definitions. 15. 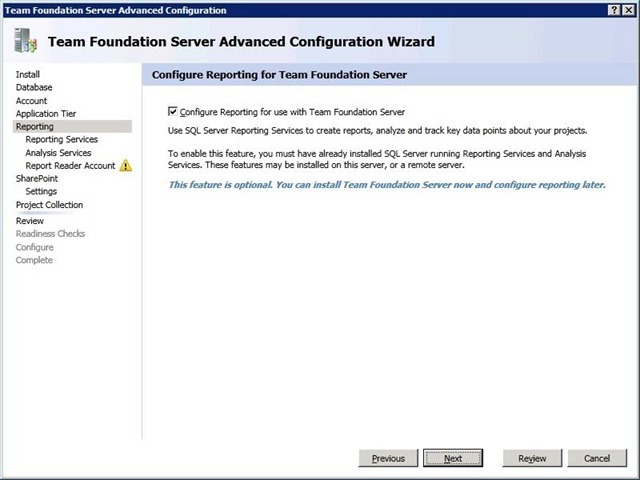 On the Manage account information for enterprise application definition page, select TFS on the drop down list and enter the name of a domain group that contains all the users that will use TFS dashboards and reports. Then click Set. 16. 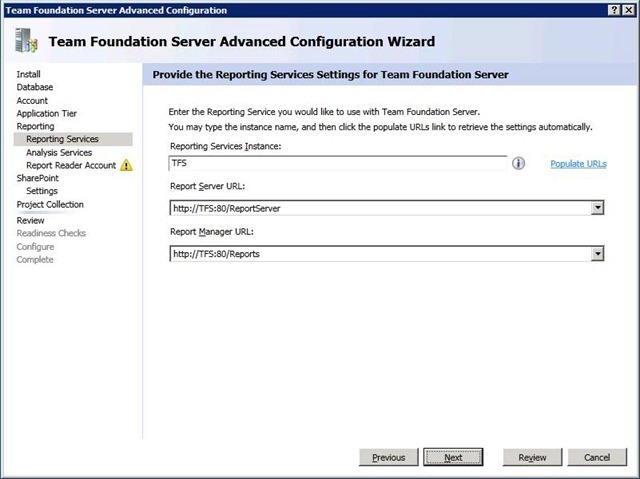 On the Provide TFS Account Information page, enter the credentials for your TFSREPORTS account and click OK.
17. 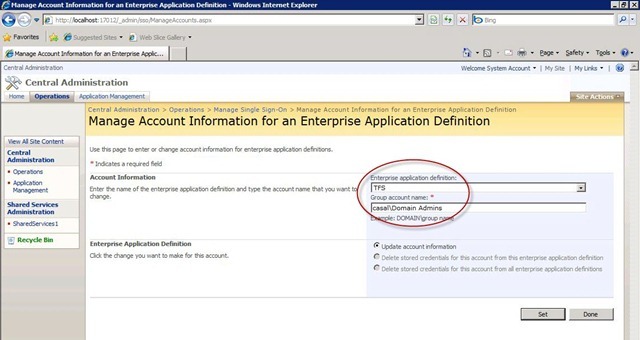 Back on the Manage account information for enterprise application definition page, click Done. You will need to configure a trusted file location for Excel Services for TFS reports to operate correctly. 1. 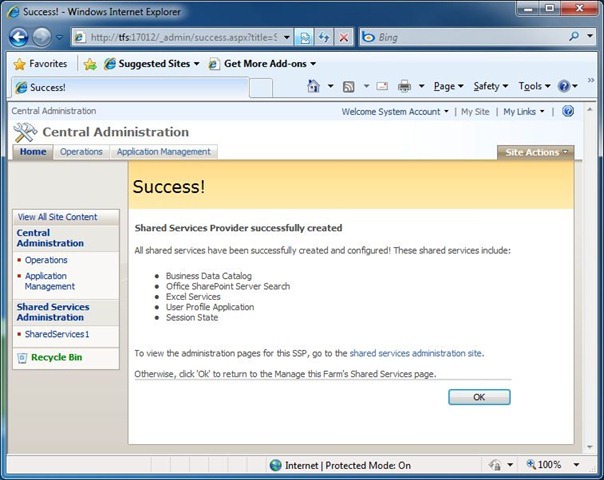 On the home page of SharePoint Central Administration, click the name of the Shared Services that you created before. 2. 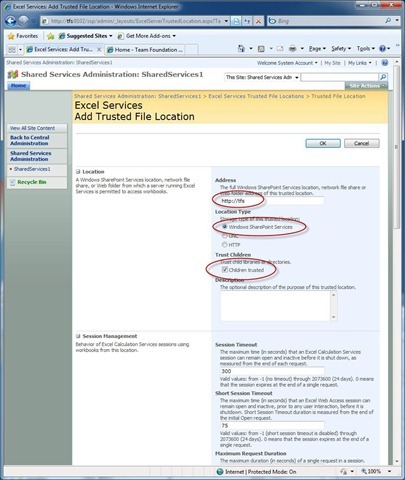 On the Shared Services Administration page, click Trusted file locations under Excel Services Settings. 3. 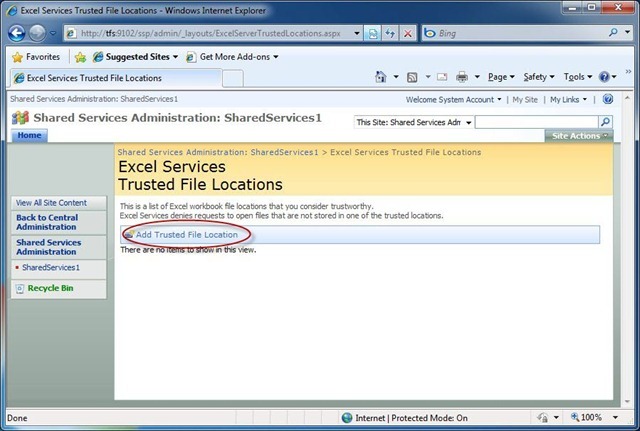 On the Excel Services Trusted File Locations page, click Add Trusted File Location. 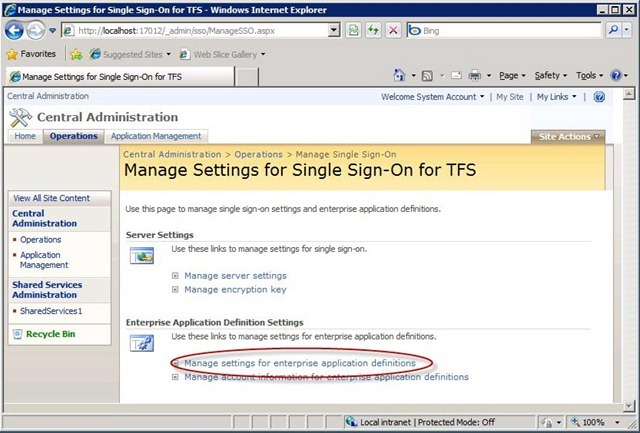 The access model is required for single sign-on for delegation so that TFS and the TFS Web application can interoperate. 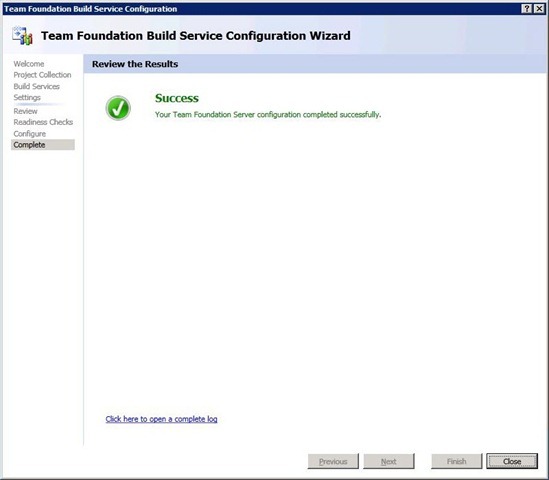 You might need to change SharedServices1 for the name of the Shared Services provider you specified before. 3. 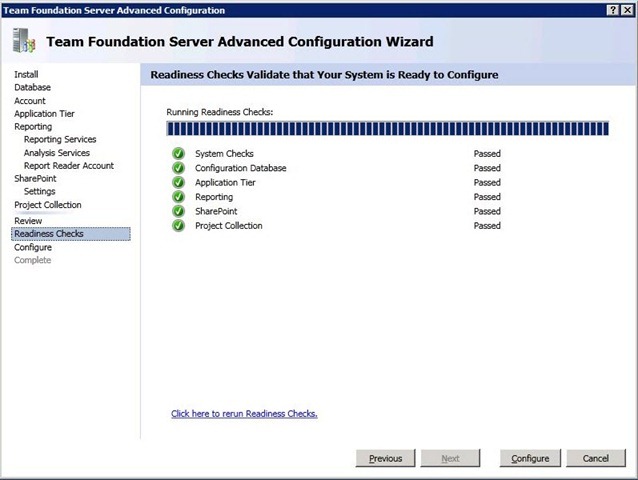 Type iisreset to restart IIS. And this is where we will finish the first part of this post. 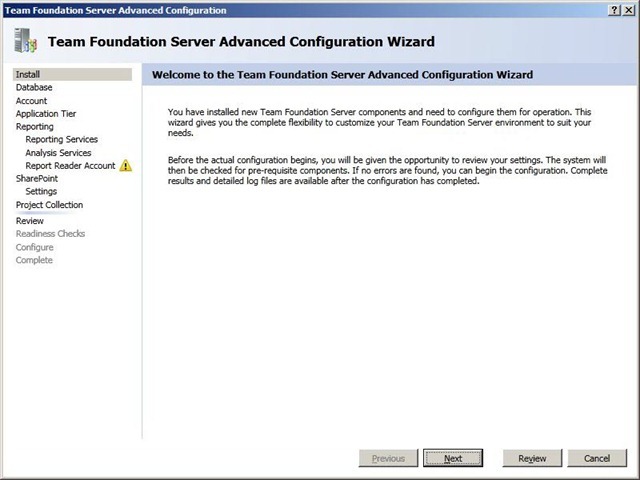 I really hope Microsoft can simply this a little bit when TFS 2010 RTM comes, but for now your MOSS 2007 installation should be ready to interoperate with TFS. 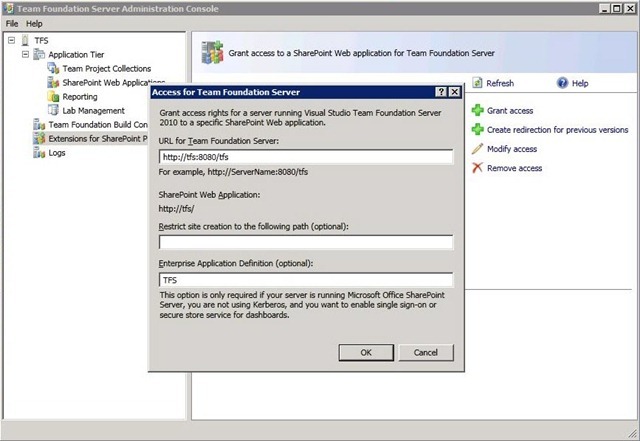 In the second part I will show you how to perform the actual TFS 2010 installation so that it will work with the SharePoint site we just setup.